Historically, the lands we know today as the nation of Germany were in reality governed by an loose conglomeration of princes and nobles, each with their own lands (even in the days of the Holy Roman Empire). With the dissolution of the Holy Roman Empire in the early 19th century, and the rise of nationalism in the 19th century especially during the Napoleonic era, unity was first achieved by Wilhelm I of Prussia when German princes gathered in Versailles to recognize him as German Emperor on January 18th, 1871. Since then there have been several days considered a “day of German unity”, for various reasons: in the postwar Federal Republic of Germany, June 17th was celebrated as a day for German unity. This day was actually to remember the uprising of 1953 in East Germany (the German Democratic Republic, as it was called). 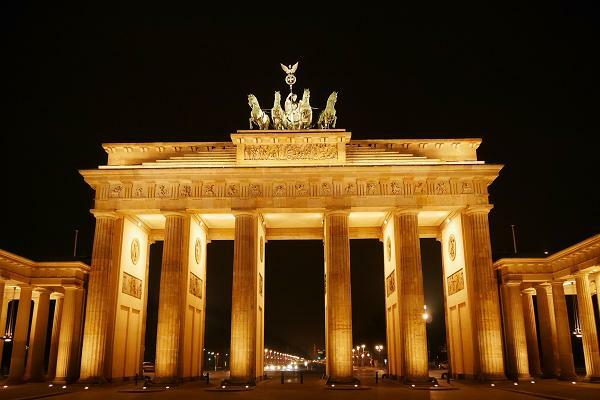 In East Germany itself, the Founding Day on October 7th was celebrated as a national holiday. While English speakers may mistake the current Day of German Unity to celebrate the reunification of Germany, “reunification” is not a term used within Germany at all. The dream of unity has existed for decades, if not into centuries, and the current Day of German Unity (October 3rd) was partly chosen to reflect a day not already observed in some way by either Germany as to avoid connotations of reunification and the harsh economic and political divisions that had existed. This debate and avoidance of reunification and division comes into play even today: there was a short-lived debate to move the Day of German Unity from its set date on October 3rd to the Sunday closest to it, but was rejected in part because the proposal would have placed the holiday to occasionally fall on October 7th, which had been the Founding Day in the German Democratic Republic (East Germany). It is not about reunification of what was formerly East Germany and West Germany, but about celebrating the dream of a singular unity that had existed and continues to exist. An alternate date was considered for the current Day of German Unity, that being November 9th (the day the Berlin Wall came down), but was rejected in part because November 9th was also the anniversary of large-scale progroms against Germany’s Jewish population (notably, the Kristallnacht) and thus deemed inappropriate for a national holiday. Laut dem juengsten SPIEGEL haben seit 28 Jahren des Mauerfalls die ehemaligen “Ostdeutschen” in der heutigen Zeit keinen Grund zu feieren, fuerchten sogar, dass Merkels Migrantenpolitik das WIrtschaftsmisere in Deutschland schon verschlimmert habe und seien fuer den Rechtsruck verantwortlich. Hat irgendjemand von euch mal Stellungnahme zu dieser Situation?